Make It Handmade: My Sewing Space! Have you checked out 2 Little Hooligans's sewing spaces series? Mine is not as fantastic as some of the spaces that have already been shared, but I'm excited to show off the few things I've done to make it my own. When my daughter was finally ready to go in a big girl room, my sewing room was bumped to a tiny corner of our play room. The biggest change we made was changing out my sewing table for a smaller wooden one (from IKEA! ), and converting it into a DIY sewing table. The table has a hole in it for my machine, which makes sewing so much easier and more comfortable. This was our first, big woodworking project and I'm absolutely thrilled with how it turned out. I also love that it's something that my husband and I made together. Then it was just a matter of making the smaller table work with with all my sewing notions and tools.I have a few purposed containers on the table top-- like this old pesto jar for safety pins. 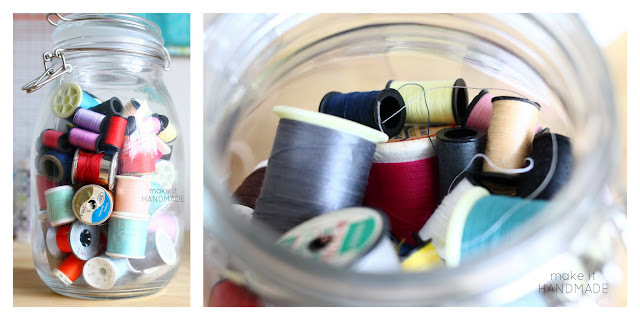 And a candy jar for those tiny spools of thread that just have a bit of thread left. I also use a couple of these scrapbook paper covered soup cans to hold my cutting supplies and stray threads. Since I can't access the little storage box on my machine now, I've been using this tackle and bait box to store my sewing machine feet, bobbins and needles. I papered the back of it with matching paper and double stick tape to pretty it up a bit. The rest of my storage moved to the wall above my desk. I purchased the inexpensive Bygel rail system from IKEA, and used it to keep my thread, rulers and cutting mats up and out of the way. I love how everything is in easy reach, and I still have enough room to sew, cut and create on my table. Here's a close up of the trim. I loved the way the print looked so much, that I also added a little matching hand embroidered pincushion. I just love this little thing because it's oversized, and my kiddos love to play with it. Notice anything missing? My serger! Right now my serger lives on the very edge of my husbands desk upstairs and out of the way of little hands. Of course, it's a giant pain to have to run upstairs each time I need to serge a seam. I'm still trying to come up with a good solution for how to keep it downstairs. I'm completely open to any suggestions!!! Thank you so much for letting me share a bit of my sewing space with you all! And tell me-- have you ever had to downsize your sewing space? Where do you sew? Have you seen Rasberry Creek's Bolt End section? 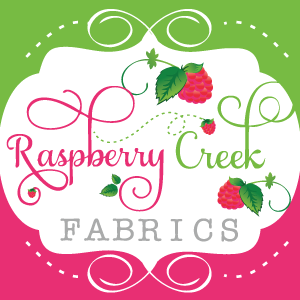 It's a great way to get some deals on small cuts of fabric. 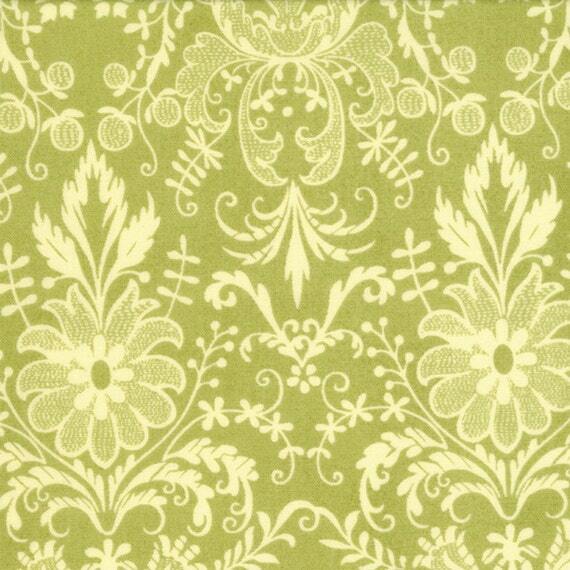 This Damask Print is on sale for just 4.50 a yard! I want some so badly for some throw pillows!